The San Antonio Spurs will visit Eastern Conference rivals the Toronto Raptors at Air Canada Centre Tuesday night. The game has a 7:00 PM EST start and will be broadcast on NBATV. San Antonio has won four of the past six meetings in this series, and the home team is 5-1 ATS in those games. Eight of the last 11 matchups have gone over the total. The most recent meeting went under the total when Spurs won 110-82 as a 6-point favorite with the total set at 206 points on January 3. The Raptors opened this contest as a 2.5-point underdog with the total set at 209 points. The Spurs will play the second game of a back-to-back set as they were in action at Brooklyn last night. They had little trouble to defeat the Nets 112-86, despite playing without small forward Kawhi Leonard who injured his hand during Saturday’s 118-115 overtime victory over Cleveland. Leonard is expected to be back in the lineup tonight while Tony Parker, who has been held out of the previous three games with a sprained left foot, will not return Tuesday against the Raptors. 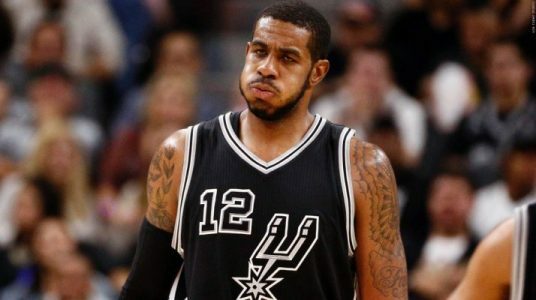 Spurs are 5-1 ATS in their last six games playing on no rest and 16-5 ATS in their last 21 games overall. Over is 6-1 in Spurs last seven overall as they had played six straight overs before last night’s game falling short of the number. The Raptors will play their first game of a back-to-back set here as they have a matchup with the Grizzlies at Memphis on deck tomorrow. The home side must be desperate to get back in the win column after three consecutive losses to Philadelphia, Charlotte and Phoenix. They’ve averaged only 90 points per game during that stretch while conceding 107.3 points per game. Solving the scoring woes could be tough as they’ll be without All-Star guard DeMar DeRozan who injured himself during the fourth quarter of Sunday’s 115-103 setback against the Suns. Raptors are 8-3-1 ATS in their last 12 home games vs. a team with a road winning % of greater than .600 and 5-2 ATS in their last seven games following a double-digit loss at home. They’re however only 2-6 ATS in their last eight vs. Western Conference teams. Back-to-back games shouldn’t matter for the Spurs who won big without even trying last night. No DeMar DeRozan is a huge blow for Toronto, and we like San Antonio in this matchup.